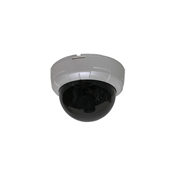 This indoor high resolution dome surveillance camera has a 1/3" color Sony HQ1 Super HAD CCD infrared sensitive sensor with 30 IR LEDs that give you a viewing range of up to 20 meters (65.6 feet) in total darkness. It has an auto-iris and a 4-9mm vari-focal lens for increased versatility. 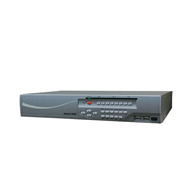 Selectable power input (12VDC or 24VAC).